insects, etc. This leads to troublesome symptoms. 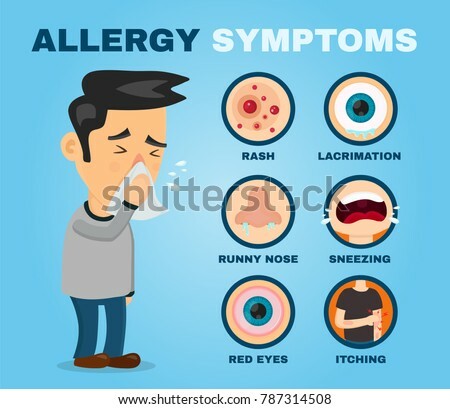 What are the symptoms of allergy? Allergies can appear on the skin too. Allergy can be life threatening… as in anaphylaxis where the airway swells up and breathing gets blocked, even shock. What are the investigations for allergies? But the Skin prick test is most reliable, It is recommended by the WAO and WHO preferably over blood tests. The allergy skin prick test is done at our centre. How is the allergy skin prick test done? The allergy skin prick test done is safe, simple, painless, easy to do and an OPD procedure. After 20 minutes the reading is taken. 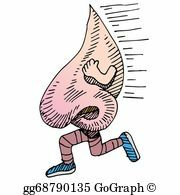 If there is a bump or a wheal it signifies allergies. Instructions for the allergy skin prick test. You can have food , no need to come fasting. Stop anti allergic medication like cetirizine, cold medication, cough syrup, tablets for allergy and itching , steroids 3 days prior to the allergy test. If males have thick hair on the forearm it has to be shaved. No waxing strips or hair removal cream should be used because it causes chemical irritation and rashes. What is the treatment for allergy? First is to Avoid whatever has been proved to cause your allergy. Basic measures for reducing dust in the house, fungus and pollen are explained. Detailed description is available in the other blog posts. Medication is given to reduce the symptoms of allergy. As long as you are taking the medication you will be fine, but once you stop it your symptoms will be back. Immunotherapy is a simple, safe and highly effective long lasting way of reducing allergies. Immunotherapy or desensitization means that we give you the substance you are allergic to over a period of time in gradually increasing doses. This makes your body less sensitive to the allergy causing substance and reduce your symptoms.. It is completely natural, no allopathic, homeopathic or steroidal medication is given with it , so there are no side effects. However, you can safely continue your allergy medication, creams and sprays along with immunotherapy. It will take a while for it to take effect, from a few weeks to a few months. What are the types of immunotherapy? Subcutaneous immunotherapy: injections are given below the skin. The patient has to come to the hospital and has to be observed for 30 minutes. It is painful, as repeated injections have to be given at different places at least twice a week. It is the safer and simpler way to take immunotherapy and painless. Drops are given below the tongue in the morning empty stomach daily or twice weekly in increasing dose. It can be taken at home, no need to visit the hospital, and no need of many painful injections. What is the right age for allergy testing and immunotherapy? Allergy testing can be done in patients as young as 3 years. There is no upper age limit. The younger the better. Earlier treatment is more preventive. However, older patients also give a good response too. When should you not undergo allergy testing? certain diseases where immunity is compromised. when there is a high risk of anaphylactic shock. What is the duration of immunotherapy? Immunotherapy can work within a few months to one year. If you stop it immediately after it starts working for you your symptoms will be back within the year. It is recommended to continue with immunotherapy for 3-5 years to have long lasting effect. With proper treatment, patients have been found to be symptom free for at least 12-20 years.